Here are some more spreads from the illustrated book I worked on for Leafcutter Designs through Chronicle Books that was published last fall. 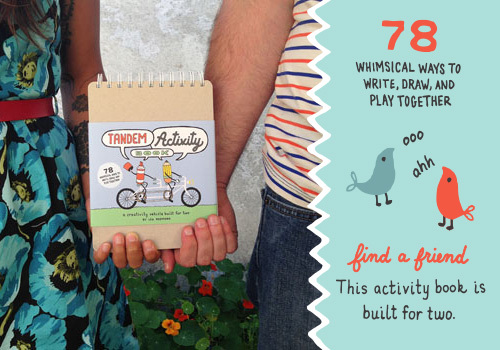 It’s a Tandem Activity Book – a journal you complete with other people – with drawing, writing, storytelling, and games that you can complete as friends, strangers or somewhere in between. If you co-owned a factory, what would it produce? Lost Button Game. Who will be the first to find the one button with four holes instead of two? Ready, set, go! 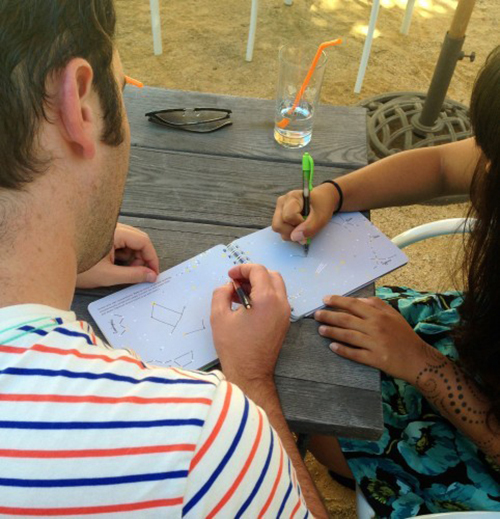 Creating your own constellation spread – photo from Leafcutter Designs. The book is available for sale on Amazon, as well as in many bookstores.